Create beautiful stained glass projects in the classroom. These bright, colorful 12" × 12" glass sheets are easy for beginners to cut. A variety of glass colors and styles are available to enhance any project. Each package contains 10 sheets. 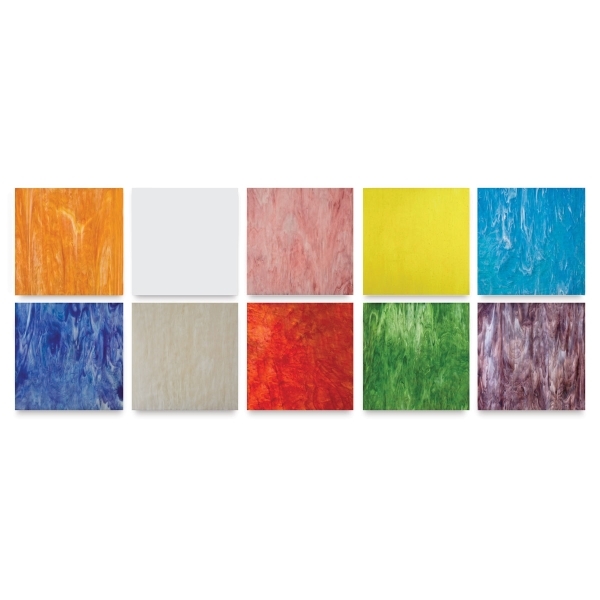 A rainbow array of ten streaky opalescent and delightful cathedral colors. ™ Studio Pro is a trademark.